Adam Andrews received his BA in Political Economy and Christian Studies from Hillsdale College in 1991. He earned his MA in History from the University of Washington in 1994, and is currently a candidate for the PhD in History. He is writing his doctoral dissertation on the history of early American Presbyterianism. Adam is a Henry Salvatori Fellow of the Intercollegiate Studies Institute, and a founding board member of Westover Academy, a Classical Christian school in Colville, Washington. He is the assistant director of the American Indoor Air Quality Council, a professional training and certification organization. This lecture demonstrates that everything you need to know about understanding and teaching literature is present in your second grader’s bedtime story. Adam reads a classics children’s story out loud to begin the presentation, and then leads the audience into a discussion of eternal literary themes. Along the way, he shows how you can do the same at home by following five simple steps. You’ll never put the kids to bed the same way again! Education is not an object we can acquire; it’s a state of the heart, mind and soul. All great leaders share certain attributes in this area, and Job was one of the greatest! Adam’s unique perspective on Job’s career inspires parents to prepare their own students for leadership. The lecture sends them away with renewed vision for the liberal arts and practical suggestions for applying this vision in the classroom. For the past eleven years, Janet Spitler has been instructing students from 5th to 12th grades, home-school moms, and private school teachers in the IEW methodology. After her children graduated high school, she began teaching at a classical Christian school. Recently she accepted the full-time position of Classroom Consultant to private and public schools for IEW. Janet and her husband Greg reside in Edmond, Oklahoma. Grading causes as much anxiety for teachers as writing does for students! Overcorrecting will likely harm not help. Telling them what they have done well and why it is good is more powerful. Students will put more effort into repeating something they did right than not repeating a mistake. Come see how to grade papers that will cause students to happily search for your red ink comments! Lori Verstegen, author of the History-Based Writing Lessons and Teaching with Games, has homeschooled her four boys for 22 years. In addition, she has established a successful business that has allowed her to work with hundreds of other homeschooling children and their parents. For students, she conducts weekly writing classes in her home and at ISP sites. For parents, she conducts various workshops, including TWSS and Teaching with Games. Lori lives in San Juan Capistrano, CA, with her husband, John, who pastors a small Bible church. Come and learn how to quickly and easily add fun to any curriculum. In this workshop, you’ll first learn why and how games can be used as powerfully effective teaching tools. Then, you’ll play a variety of educational games adaptable to any grade level and any subject, so that you can take them home and try them in your own classroom. You’ll be amazed at the results! Lesha Myers has been a Christian for more than 30 years and a teacher for more than 20. She also operated an independent study program for 15 years. 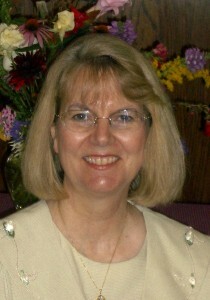 After homeschooling her own children and graduating her youngest child from homeschool high school in 2004, she earned her teaching credential and Masters in Education and began teaching high school English at a Christian school to those at the highest (Advanced Placement) and lowest (Resource) levels. She has written five books spanning the subjects of California history (His California Story and Continuing the Journey), grading and evaluating (Making the Grade), writing (The Elegant Essay), and analyzing literature (Windows to the World). Visit her website at www.Cameron-Publishing.com. Literary analysis is the art of delving below the surface meaning of stories, seeing how authors create meaning, and most important, accepting or rejecting authors’ views of the world. There’s no question that literature has the power to move us, but how does it get that power? Come learn how to unlock some of the secrets of literature, how to evaluate and write about it, and how to recognize its place in developing wisdom. This session is appropriate for high school students who want to learn more about literature, as well as one of the steps towards preparing for the Advanced Placement Literature and Composition exam. One of our goals for our students is to prepare them to be citizen-rhetors as they take their place as discerning people of the land. What should citizen-rhetors be able to do? They should know how to analyze arguments as well as create ones of their own; evaluate resources, especially those found on the Internet; document their sources; and most important, combine their ideas into persuasive and influential arguments. This session will help to equip students to think about and write about controversial issues, as well as a step for students who might take the Advanced Placement Language and Composition exam. 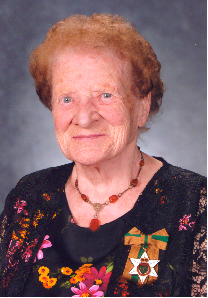 Having obtained her Bachelor of Education from the University of Saskatchewan, Mrs. George taught for thirty-one years in Saskatchewan and Alberta. Her experience includes teaching at the Senior High, Junior High and Elementary levels. In 1993 she was nominated for the Teacher of Excellence award by colleagues and parents of her students. During the past thirty years, Shirley has assisted Anna Ingham at Blended Sound-Sight workshops and summer classes and has been a frequent presenter at Teachers’ Conventions. The Blended Sound-Sight program employs a bank of strategies which empower students to be capable spellers and consequently fluent readers and writers. Among these techniques is Sound City which becomes a focal point for the storage and review of English sounds and rules. As Mrs. George describes Sound City, she will guide participants in learning simple English rules in a non-threatening and enjoyable manner. Using student writing samples, Mrs. George will demonstrate techniques to help students retell and rewrite narrative stories, guided by Mrs. Ingham’s Story Sequence Chart. She will also show how students can write summaries from outlines and gradually enhance their compositions by adding elements of style as described in J.B.Webster’s book, Structure and Style in Composition. Besides producing quality writing and feeling successful, students will enjoy a happy writing experience. Drawing from her many years of experience, Mrs. George will relate how she sought to accommodate for individual differences among students and to encourage independence by employing techniques from the Blended Sound-Sight Program of Learning by A.G. Ingham. This resulted in effective use of pupil and teacher time and created a safe environment where students could take ownership of their own learning and above all, feel happy and successful. Anna Ingham, age 97, will be sharing her sage insights in sessions on poetry as an integrator, classroom organization, and the genesis of blended sound-sight. Mrs. Ingham is the author of the book, The Blended Sound-Sight Method of Learning, now in its sixth edition. Her experience includes thirty-one years in the classroom and five years as a reading consultant for the Saskatchewan Department of Education. Since her retirement, she has continued to speak at conventions and institutes as well as conduct short summer classes each year. 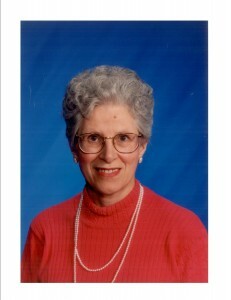 As a result of her contribution to education, she has received many awards including the Hilroy Scholarship from the Canadian Teachers¹ Federation (1970), the Founders Award from the University of Saskatchewan (1987), the Honor Roll Award from the Saskatchewan Report magazine (1991) and the Canada 125th Commemorative Award from the Governor General of Canada (1993). Her most prestigious awards took place first in 1995 when she became a Member of the Order of Canada and then in 2007 when she received the Saskatchewan Order of Merit. Mrs. Ingham will give practical suggestions for organizing a classroom to provide a firm foundation of basics, plan for effective use of time, set up goals and expose children to good literature including poetry. Based on her experience Mrs. Ingham will explain Poetry, Activity Time, Discovery and the Individualized Classroom Library, important strategies which have stood the test of time. Mrs. Ingham will discuss how incorporating poetry into our daily schedules will facilitate fluent reading, spelling, phonics, comprehension and writing as well as providing a vehicle to integrate all areas of the curriculum. As she describes several teaching techniques, Mrs. Ingham will share experiences where students increased, not only their academic skills, but also their appreciation and love for poetry. Above all, poetry can be fun!! Andrew Pudewa is the director of the Institute for Excellence in Writing and a homeschooling father of seven. Presenting throughout North America, he addresses issues relating to teaching, writing, thinking, spelling, and music with clarity and insight, practical experience and humor. His seminars for parents, students, and teachers have helped transform many a reluctant writer and have equipped educators with powerful tools to dramatically improve students’ skills. Although he is a graduate of the Talent Education Institute in Matsumoto, Japan, and holds a Certificate of Child Brain Development from the Institutes for the Achievement of Human Potential in Philadelphia, Pennsylvania, his best endorsement is from a young Alaskan boy who called him “the funny man with the wonderful words.” He and his beautiful, heroic wife Robin currently teach their three youngest children at home in Atascadero, California. The Institute for Excellence in Writing started after Andrew Pudewa learned the Structure and Style in composition method from Dr. J. B. Webster almost 20 years ago. As Andrew began teaching this method to parents and teachers across the United States, it became evident that what he was teaching was much more than just a writing curriculum. We are, he believes, now part of something much, much greater than “improving basic skills” or “preparing our children for college.” We are engaged in the great work of empowering a wave of young people who will have the means and the motivation to boldly enter the war of ideas, knowing how to think and powerfully employ the spoken and written word. The power of humor and mirth to aid in effective teaching is certain. Although some people have more of a natural inclination toward humor than others, everyone can study and learn how to use the elements of humor to improve their teaching and speaking skills. Learn to incorporate the rhetorical techniques of Misunderstanding, Absurdity, Hyperbole, Exaggeration, Understatement, Double Entendre, and more. To maximize our teaching in the classroom and at home with our students, we must know more about how the brain functions, how information is stored, what are some of the impediments to learning from which our students may suffer, and how we can “teach at the point of need” and in a neurologically appropriate way. There are not only gender differences, but there are significant learning differences that bear specifically on the teaching of writing. Let us begin our study of the brain, and continue to study it for years to come. Continuing the legacy that began 70 years ago in a one-room schoolhouse in Saskatchewan, Canada, IEW sees a bright future. Many new projects and products are in the works. We invite you to join us as we seek to expand our products and services, reaching out to all who can benefit from “an effective method for teaching writing” and more! Lee Roddy will present “How to Write a Darn Good Story” for both primary and advanced writing levels. Bestselling author Lee Roddy teaches writing at home and school teachers’ conventions, writers’ conferences and colleges. His short stories and 50-plus novels have sold millions of copies. His novel, “Grizzly Adams,” became an NBC-TV series. His juvenile novel, “Secret of the Shark Pit,” sold more than 100,000 copies. His “How to Write a Story” is published by the Institute for Excellence in Writing. The author and his wife have two children and two grandchildren. Here’s an opportunity to help your advanced writing students learn a simple expandable system to create stories which can reach professional status. This proven, practical method will properly structure a story of any length. Asking one right question will keep the narrative on track. The instructor developed this enhanced technique to publish countless short stories and 50-plus novels. A simple 3-step system using three “O’s” is all your beginning writing students need to create a real story instead of a series of incidents. This triple “O” technique, taught by the author across the country, shows students what basic elements must be in the beginning, the middle and the ending of any story. This method also helps structure the story so it is complete and doesn’t wander off to end up hopelessly lost. This session will greatly benefit your young students. 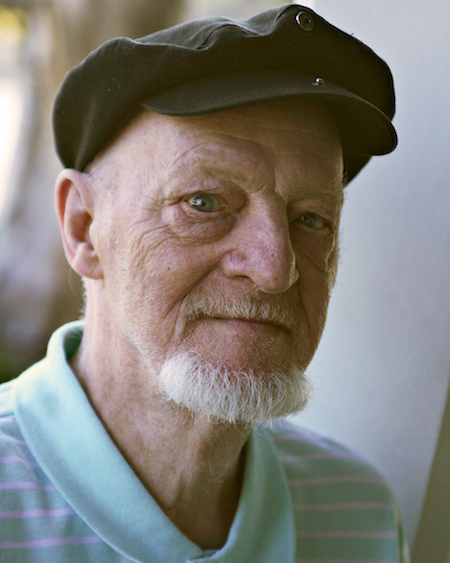 Victor C. Pellegrino, Professor Emeritus, taught writing and literature at Maui Community College for twenty-eight years, and served eight years as chairperson of the Language Arts Division. He has also taught upper division classes in advanced writing and American literature for the University of Hawai’i on Maui. Recognized as a statewide leader in the field of writing, Pellegrino was the first recipient of the Excellence in English Teaching Award presented by the Hawai’i affiliate of the National Council of Teachers of English. He also received the Excellence in Teaching English Award from the Hawai‘i Branch of the English-Speaking Union of the United States. 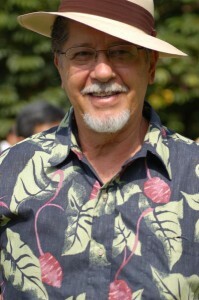 Pellegrino has served on the editorial board of Makali’i, The Journal of the University of Hawai’i Community Colleges, and has edited for publication many manuscripts. During his teaching career, Pellegrino developed a unique interdisciplinary Eastern world literature course emphasizing the writings of India, China, and Japan. This course complemented Pellegrino’s Western world literature course emphasizing Europe, Africa, and Russia. Pellegrino’s books have guided writers for more than two decades. In 1984, he wrote two books designed for use in Hawai‘i schools, You Can Write! Practical Writing Skills for Hawai‘i and You Can Write Workbook. A Writer’s Guide to Transitional Words and Expressions was first published in 1987 and is now in its seventh printing. A Writer’s Guide to Using Eight Methods of Transition, published in 1993, is now in its second printing, and serves as a complementary text to his popular transitional words book. In 2003, A Writer’s Guide to Powerful Paragraphs, his third title in the writer’s guide series, was published. This title focuses on thirty different ways to organize and write effective paragraphs. A Writer’s Guide to Perfect Punctuation is the fourth title in the writer’s guide series. Pellegrino’s writing is not limited to the world of English. He has written two reflective books, Maui Art Thoughts: Expressions and Visions, and A Slip of Bamboo: A Collection of Haiku from Maui. In 2001, he published an Italian cookbook, Simply Bruschetta: Garlic Toast the Italian Way, which contains 65 recipes for garlic toast toppings. He is currently working on a novel, a vegetable-based Italian cookbook, a children’s allegory, and his family genealogy. Pellegrino received his B.S. and M.S. degrees from the State University of New York, College at Buffalo. 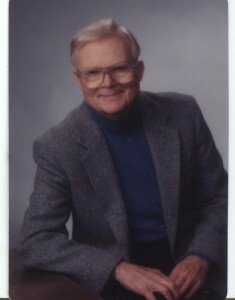 He has studied at Marquette University, University of Hawaii, Brigham Young University and Sophia Universtiy as well as traveled extensively in Japan and China, and in 1984 he was a Fulbright Scholar in India. He is married to Wallette Garcia of Wailuku, Maui. They have three children, Shelley, Angela, and Hokuao. Writing haiku involves expressing feelings, providing comparisons that create ideas and meaning, and bringing nature into the heart and mind of writer and reader. Haiku writing is a language experience that helps one condense ideas, expand vocabulary, and learn syllabication. Pellegrino has studied Japanese literature in Japan. Besides having taught Japanese literature at the college level, he has authored A Slip of Bamboo: A Collection of Haiku from Maui. He will share some of his poems as well as several haiku by famous Japanese writers. You will have an opportunity to pen some haiku during this session. When you leave, you will have a handle on haiku and be able to incorporate haiku writing into your curriculum. And if you’re anything like Pellegrino, you may become obsessed by the haiku and never stop writing them yourself. Too many writers like to guess about what punctuation mark to use. Some even try to make a period look like a comma, or a semicolon look like a colon. They think readers will just pass their trickery by; however, leaving the interpretation of ideas in writing to guesswork puts the reader in a “work-to-understand” mode, and the writer’s ideas and views may not be clearly understood. Today, more than ever, text messaging and e-mails are adding to the confusion, and perhaps we are now “unlearning” the rules of good punctuation. Pellegrino has authored A Writer’s Guide to Perfect Punctuation, a book that can be used from elementary grades through university and into the workplace. No longer will you have to be faced with questions such as, “Mom, where do I put the comma?” All the comma rules and examples are in Pellegrino’s reference book. In addition, every punctuation mark in American English is included. Many teachers and writers fail to understand that the eight methods of transition, and particularly the use of transitional words and expressions, help them to organize their paragraphs and whole compositions. Pellegrino will introduce transition, demonstrate some useful activities that you can use with students, and leave you wondering why no one ever taught you about the value of transitional organization when you were in school. Writers are supposed to take their readers from beginning to end with writing that is connected, that flows, and that is clear. Pellegrino’s A Writer’s Guide to Transitional Words and Expressions is used from elementary levels through university and on the job. It is his best-seller. If you should ever take your eyes off your copy, it will be snatched up by someone. 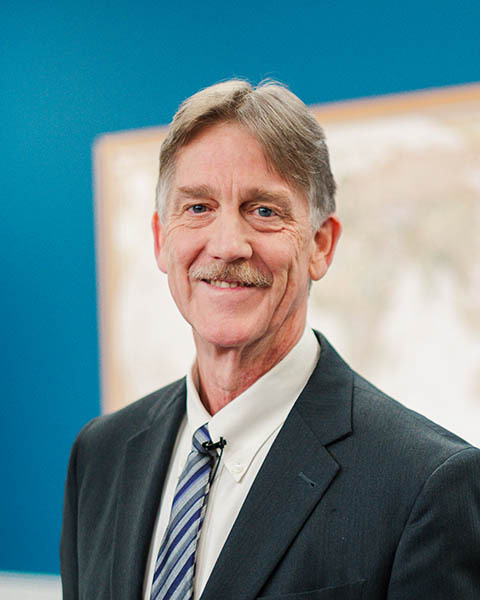 Dr. James B. Webster will be speaking on classroom management, advanced TESOL, and metaphorical and allegorical writing. Using examples of children’s compositions from grades 3 to 5, this discussion demonstrates how to encourage creative writing, how to individualize it within the confines of one assignment & how age & grade level are of little concern within Blended Structure & Style. Some do’s & don’t of classroom management will be touched upon, if time permits. Following my usual procedure, I give a diagram with short notes, followed by a model composition. There are three ways to write a descriptive paragraph & after this lesson was taught all of my students had to follow one of the models. No more random descriptions. Following a definition of a dialogue set, rules of structure, style & mechanics come before a model. The flashback paragraph follows a similar pattern, first a very few rules & then the models. It is only advanced because it is new. Writers of any level, grades four to university can do it. To enhance writing & include elements of imagery required in High School, the category of decorations has been doubled & divided into two, Structural & Stylistic. In metaphorical writing we help children expand & elaborate a metaphor into a full paragraph. Almost all levels can do this because it is primarily description. In allegories the metaphor is stretched to three paragraphs. I have only attempted it at the high school level.